December’s Positive Change recipient is Keystone Community Services, a St. Paul organization that provides the public with a variety of food access programming and human services. Through these offerings, they strengthen the capacity of individuals and families to improve their quality of life. Founded in 1939, Keystone began as a small neighborhood community center. Today, they reach over 30,000 individuals throughout Ramsey County. The Keystone name comes from the central wedge-shaped stone of an arch (a keystone) that locks each part of the arch together and supports the whole, a fitting description for the organization since they support and strengthen our community. Positive Change funds raised throughout December will ensure Keystone’s food shelves remain fully stocked with fresh, healthy foods including milk, meat and produce, to help community-members-in-need stay fed and nourished. 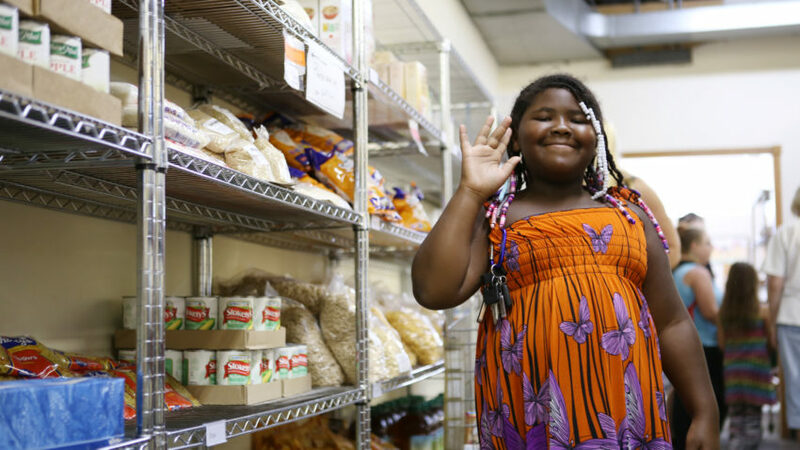 More than 26,000 people in Ramsey County access Keystone’s food shelves annually.